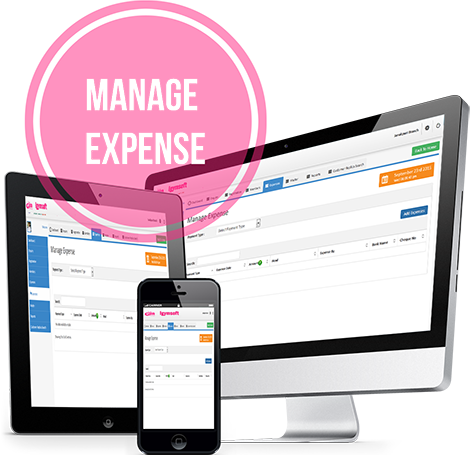 iGYMSOFT's expense management tool that helps improves the performance and productivity of your business by taking care of expenses for them. It makes expense reporting simple, fast and effortless so you can spend less time on expense reports and has more time to do what you do best! Add expense with payment modes & receipt no. Manage expenses by payment type. View expenses list by amount, bank name or cheque no. Whether you schedule trainers and classes or fields and leagues, iGYMSOFT offers a custom solution that will address your business needs. Our products are designed to grow with your business and are accessible from anywhere, at any time. Consolidate the management of your facility, employees and clients to streamline your business operations, delight your members and increase profits with iGYMSOFT's advanced management software solutions. Our membership management product ensures a smooth process for checking-in, attendance tracking and recurring payments. iGYMSOFT will aid you in managing & retaining current members while growing your client database simultaneously. Successful Gym, Spa & Fitness business management starts here and your success with iGYMSOFT is just one step away. Just book your demo now! iGymsoft Software is a software written for a large membership based organisation and it became evident that there was considerable potential for marketing the software to other gyms and organisations. It provides detailed information at a glance with features, allows you to manage membership, check-in members, renewal details, pending payments, schedule appointments, create reports and much more!